West Coast Eagles forward Mark Nicoski was a guest reporter for Today Tonight on the eve of the Eagles 600th game on Thursday 14th June, 2012. 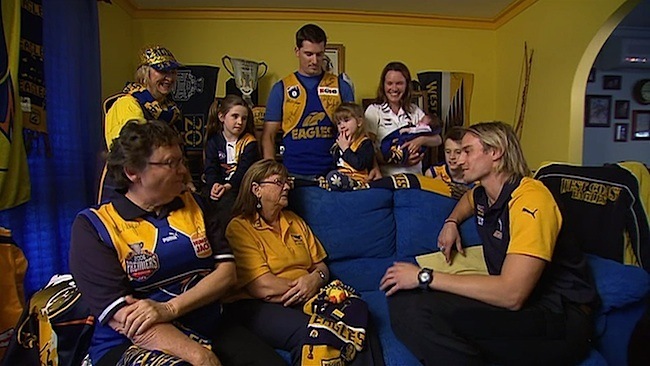 Mark interviewed a number of the Eagles most passionate supporters, of which one was Pam Hynson, a long-serving West Coast cheer squad member who has only missed one home match in the past 6½ years. Pam said that her most precious memory is of Channel Seven sending her and husband Les to the 1991 Grand Final. Les had lost his dad, just a few weeks before, and TVW Managing Director Kevin Campbell organised the opportunity. 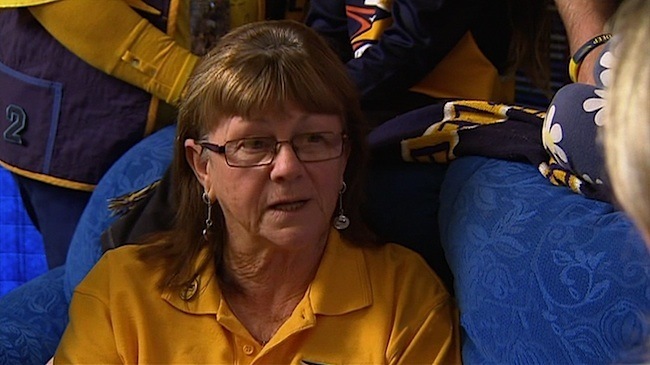 Pam Hynson said that her most precious memory is of Channel Seven sending her and husband Les to the 1991 Grand Final. For 35 years, Kevin Campbell was involved in the broadcasting industry in Australia. Kevin joined TVW Channel 7 as an technician in 1964 and worked continuously with them until his retirement in 1999. TVW was a case where talented individuals could rise through the ranks to fill the highest roles. Most executives at some point or other gained experience close to the work face. 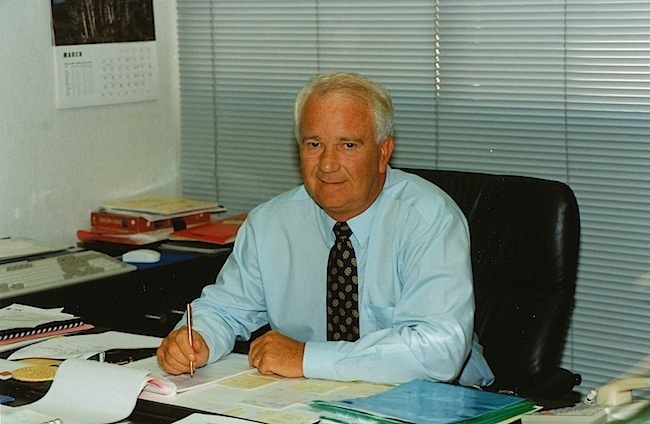 None more so that Kevin Campbell, who started as a technician and later became the Chairman and Managing Director. Where else could the person in the top position have the skills to walk into an operational area and demonstrate a full knowledge and experience in that area? On completion of a technical cadetship through the Post Master General’s Department, Kevin joined TVW as an technician in 1964. From being appointed Operations Supervisor, then Operations Manager, Kevin was then promoted to the position of General Manager SAS Channel 7 Adelaide (1977). 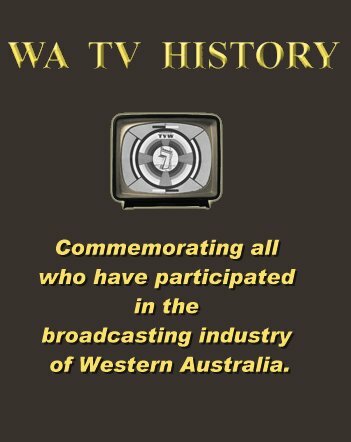 From 1988 to 1991 he was Managing Director of the Seven Television Network and from 1991 to 1999 he was Chairman and Managing Director of TVW Enterprises Ltd (Channel Seven Perth). In 1998, he was awarded a Member of the Order of Australia (AM), for his contribution to broadcasting and his community service activities. Professor Mark Balnaves of the Curtin University in WA introduces Kevin Campbell AM, the former Chairman and Managing Director of TVW Enterprises Ltd (Channel Seven Perth, Western Australia). This recording was made on Monday 23rd of May, 2011, at the home of TVW pioneer Coralie Condon OAM, who kindly played hostess to a gathering of colleagues when two former senior executives Max Bostock (MBE) and Kevin Campbell (AM) met with Professor Mark Balnaves, and fellow television veterans, to record an oral history of the early days at TVW Channel 7 in Perth, Western Australia. Professor Mark Balnaves is the Senior Research Fellow in New Media at the Curtin University of Technology. Also present were Audrey Long (formally Barnaby) and Betty Bostock, with Richard Ashton, Gordon McColl and Ken McKay recording the event.